The Extendas cloud and online services are indispensable for every player in the petrol market. Whatever your requirements, Extendas experts are at your service: from a back office system in the cloud, to multi-channel strategy, to building and hosting websites. Outsource the management of your back office system! 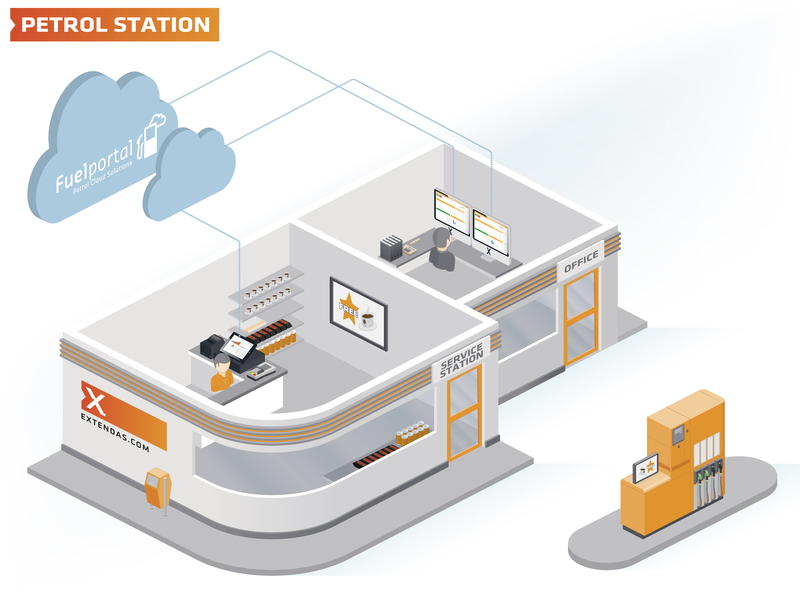 FuelOffice offers petrol station owners the option of using FuelOffice as a cloud service. Our experts place your back office system and databases in our optimally equipped and secure data centre. We can also take on the task of managing the system. This means that you don’t need to worry about servers, data storage, updates and IT security. It is no longer sufficient for a business to have only a physical establishment. Many of your customers also expect to locate your petrol station online – and on their mobile phone. Multi-channel is no longer a buzzword but a requirement for any serious business. Our Extendas experts are keen to help you develop a multi-channel approach. Extendas develops internet sites for the petrol chain – from the wholesale trade to petrol station and customer pages. We also provide hosting services. This means secure storage of all your website files and databases as well as intelligent communication to the back office – on our servers. In addition these cloud solutions Extendas offers revolutionary back office products, services and app development. Extendas is the innovative software company that helps businesses in the petrol market with their administrative, logistical and financial processes. We relieve their burdens by simplifying the processes and by integration of the entire petrol chain. This ultimately leads to better efficiency and better service.